Leather shoes come in all shapes, sizes and styles. The leather that shoes are made from comes from different animals, which determine the type and quality of the leather. Leather is a sturdy material that is worn for style and functionality. Leather shoes are made out of different types of leather depending on the shoe. The quality of the shoe is often based on many things including the type of leather used. According to Dockers.com, the main types of leather that shoes are made of are calfskin, veal, full grain side leather, nubuck, kidskin and pigskin. Calfskin, pigskin and kidskin are the better quality, more expensive leathers, while full grain side leather, veal and nubuck leathers are used in casual and less expensive shoes. Oxfords are one of the most popular types of leather shoes. These shoes come in casual and dressy styles for both men and women. They are shoes that come to the ankle and lace over the instep of your foot. A casual leather shoe for men is the loafer. This type of shoe is made from veal and other lower quality leather. Usually loafers are more bending and soft. Dressy leather shoes for men include dress boots and monk strap shoes. Both of these types of shoes are made of premium leather such as calfskin. They tend to be very shiny leather and are worn for special occasions. Dress boots for men come up a little over the ankles and don’t usually tie. Monk strap shoes are also slip-on shoes. They stop just below the ankle and have a defining strap across the upper part of the foot otherwise known as the monk strap. 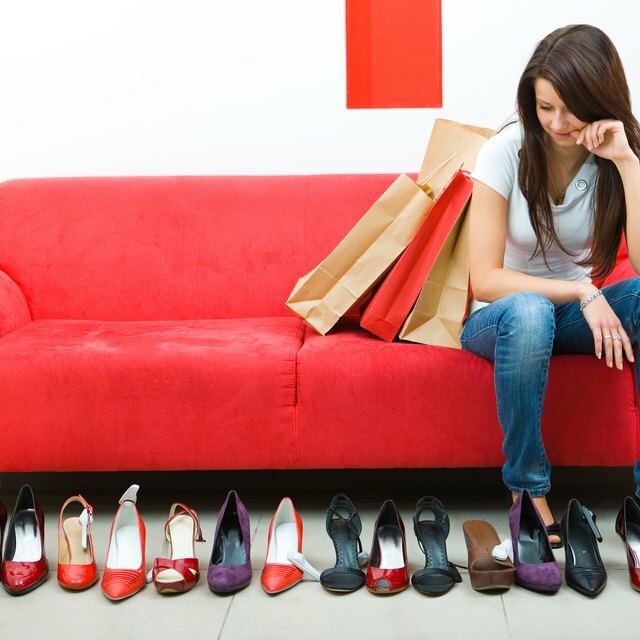 There are so many types of women's leather shoes. One popular style for women is leather boots. Leather boots for women come in all types of leather, but the highest quality is calfskin leather boots. Women’s boots range from ankle boots to thigh-high boots. They also usually have a heel of some sort. Other types of leather shoes for women include, Mary Janes, which have a rounded toe, flat heel and a strap across the top of the shoe. Leather pumps come in many styles and with a heel. They are usually pointy toed and they are slip ons. Sling back leather pumps are pointy toed with a heel and instead of a solid back, they have a strap that goes around the heel of the foot. All of these shoes vary on the type of leather they are made from. Usually you can tell the quality of leather based on the price of the shoe. For example, if the shoe is more expensive they are calfskin, pigskin or kidskin. If they are less expensive, chances are they are made out of full grain leather, veal or nubuck. 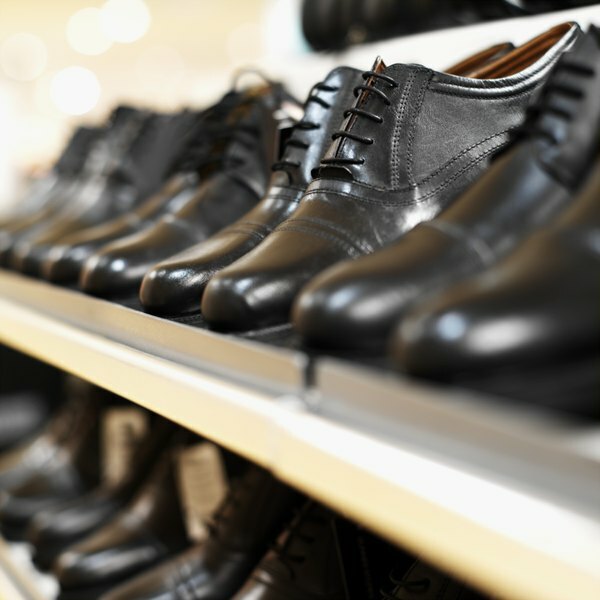 It is important to properly care for your leather shoes in order to extend their lifespan. To do this, Nordstrom recommends keeping your leather shoes free of dust, using a cream polish on them that matches the shade of the leather and conditioning them with oil-based leather conditioner. If your leather shoes get wet let them air dry.